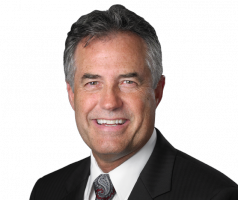 Dr. Thomas Ibach joined Consulting Radiologists, Ltd. (CRL) in 1995 after five years with Radiologic Physicians, PA, an independent group serving Methodist Hospital until its merger with Park Nicollet. He specializes in Body Imaging and has an additional qualification in Diagnostic Neuroradiology. Dr. Ibach currently serves as Medical Director at CRL Imaging Plymouth. When asked what he likes most about his job, Dr. Ibach replied, “Knowing that my work is meaningful, and that it’s frequently necessary for the proper direction of patient care.” When he is not working, Dr. Ibach enjoys spending time with his family, reading and golfing, as well as watercolor and oil painting.